This week we read the tragic news that Hurricane Irma has killed at least five people and left a trail of destruction on the Caribbean island of Saint Martin – home to one of our radio station partners, Radio Maranatha 100.3*. 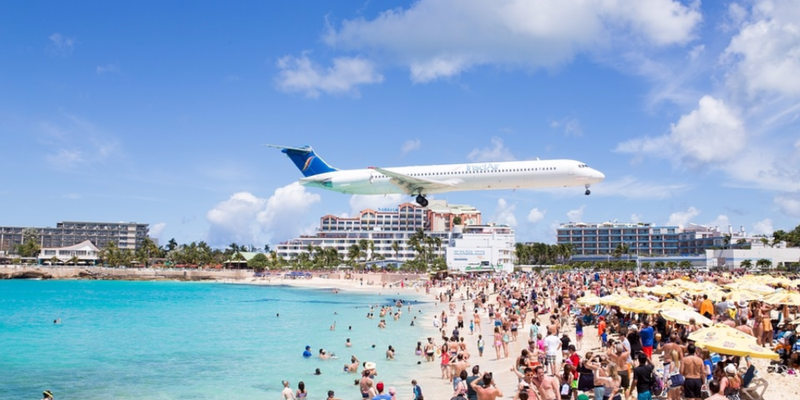 A plane comes into land at St Martin's world-famous airport. According to reports, the island has been 95% devastated by the storm, which has seen winds of around 175 mph (290 kph) cause widespread damage across several small islands in the northeast Caribbean. Passion for Sport has been in touch with Radio Maranatha station manager Milan Berdier, who expects them to be off the air for around 2-4 months. We continue to pray for peace, safety and hope for the staff and ministry of Radio Maranatha – and for those across the island who have been impacted by Hurricane Irma – as they begin to rebuild their station, homes and lives. *Radio Maranatha 100.3 broadcasts Planet Sport at 07:00 every Friday.